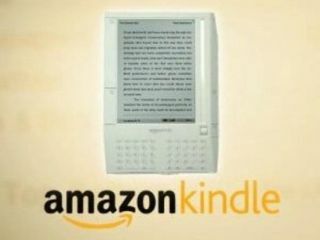 Amazon's Kindle sold well - but is reading books dying out? Author Nick Hornby has expressed his doubts over eBooks – although it is people's attitude to reading as a whole that appears to be supporting his argument. was bemused by Borders' £399 Iliad eReader, but even more concerned at the pile of bargain books being ignored by its side. "Attempting to sell people something for four hundred pounds that merely enables them to read something that they won't buy at one hundredth of the price seems to me a thankless task," Hornby wrote on his blog. Hornby goes on to point out that eBooks have a far harder task than the iPod did in creating a revolution in digital music, quite rightly pointing out eBbook readers have a couple of disadvantages when compared to mp3 players. "The first is that, when we bought our iPods, we already owned the music to put on it; none of us own e-books, however. The second is that so far, Apple is uninterested in designing an e-book reader, which means that they don't look very cool." "But – and this is the most depressing reason – the truth is that people don't like reading books much anyway…The music industry's problems are many and profound, but you never see advertisements asking us to listen to more music; there are no pressure groups or government quangos attempting to ensure that we make room in our day for a little Leona Lewis. "The problem is getting people to pay for music, not getting people to consume it. Can you see every teenager in Britain harassing their parents for a Kindle? Me neither."